Auto Glass Express are leaders in Infiniti windshield repairs and replacements. Luxury cars have more complex parts around the windshield like cameras and sensors. This makes the windshield harder to install than a normal car. Since we specialize in luxury windshields, our installers will properly fix your windshield without changing or harming any part of your car. Auto Glass Express is so confident in our installers, we offer a lifetime warranty and a 100% satisfaction garuntee. 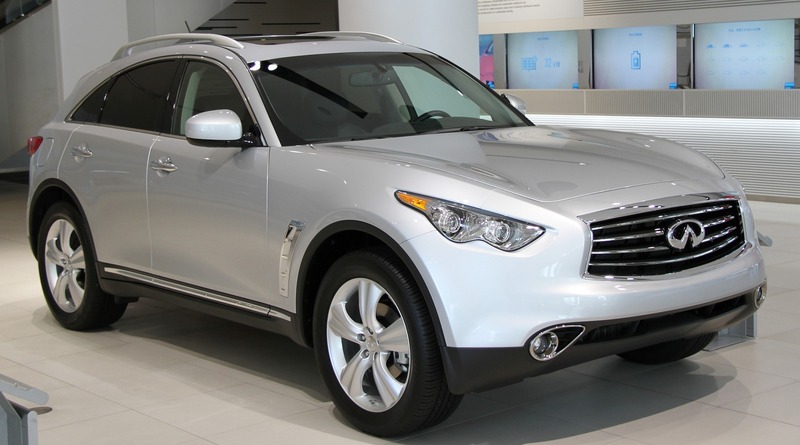 We are the recommended Auto Glass Repair Company for many Infiniti vehicle dealers around the Twin Cities. We will work with your dealer to find right part for your vehicle and access to your dealer's service department to do your glass repair while other dealer services are being performed. If you prefer factory glass instead of aftermarket glass for your vehicle, all you need to do is ask. We work with your insurance company and dealer to get what you want. We can also install your windshield at a place that is convienient for you. Your high-end car deserves high quality service. Auto Glass Express will help you through the entire insurance process, we can even file the claim for you. We can also meet you anywhere in the Twin Cities area. Whether you are at work or home, our certified installer can travel to your car at no extra cost. When working with Auto Glass Express you can feel confident in that if you have full glass coverage you will have no out of pocket expenses and your insurance company will not be over charged. Are you in need of an Infiniti windshield repair or replacement? Call us at 651-494-9252. You can also fill out a short online form to schedule an appointment. Fix My Infiniti Windshield Today!